India greets travellers with an almost overwhelming juxtaposition. A visit unveils remarkable natural landscapes, sumptuous temples and architecture, and a society that clearly demonstrates both its grassroots origins and the fast-moving way of the future. This is before you even consider the sensory overload that comes with their cuisine and cultural traditions. 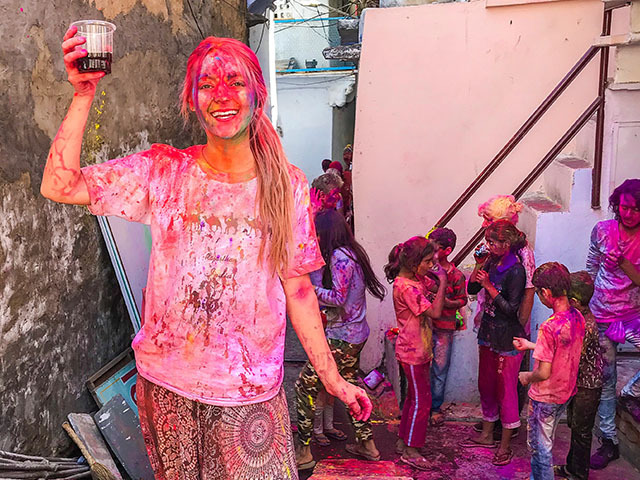 Not for the faint-hearted, India truly is a bamboozingly colourful country. A trip there will leave you intoxicated on the smell of spices and the smiles of locals, having you yearning to return. Whether you are planning a trip to the Golden Triangle, backpacking your way through slums and splendour, hiking the Himalayas, or seeking the Big 5 on a safari, read on for some tips to ensure you are making the most of your travel money. Coins - Rs5, 2, 1 as well as 50, 25, 20, 10 and 5 paise. As a rule of thumb, 10 Aussie dollars will get you around 500Rs (or thereabouts). You must declare if you are importing $5000USD (or just under $7000AUD) equivalent in or out of the country. Cards are widely accepted, especially in hotels and major shopping centres, though cash is definitely still king in most places. You should be able to find ATMs in most larger cities, just be mindful of any spicy withdrawal fees. Counterfeit notes are common, so always check them carefully. You can rest assured that the notes you get from Travel Money Oz are legit, though taxi drivers and shop keepers in India may swap your real notes for fake versions when giving you change. Akin to their colourful lifestyle, Indian notes will vary in colour even if they are the same denomination. So, don’t rely on the colours of the notes to pay when in a rush to eat your dahl. Spend your coins in convenience stores and restaurants, as tuk-tuk drivers won’t accept them as payment. Use Uber or Ola, or use them as a baseline to haggle with auto drivers. Auto drivers are slightly more expensive, however, you can save yourself the wait time of an Uber. You can book Tuk-tuks on Uber which is pretty unique. You can also pay in cash when using Uber as opposed to having it linked to a card. Look out for monkeys, especially if you have food... Monkey see, monkey run, monkey steals your food. Avoid giving money to beggars. It is actually illegal for them to be begging, and they are supported by the government with housing and free schooling. By giving them money, you are encouraging them to continue begging. This is especially important for children. Crossing the road can be pretty daunting. You’ll need to take a teaspoon of cement as you prepare to cross. It goes without saying that you should avoid walking in front of cars, but tuk-tuks and motorbikes will generally stop or flow around you. Some tourist sites will require a passport and appropriate clothing. Temples and sacred sites will definitely require you to cover up. Just think of it as an excuse to indulge in a colourful sari or scarf. Eating in India will ignite your tastebuds with fiery chillies, intricate spices and rich curries. It can be pretty full on for your westernised stomach, but oh so worth it. Quite often you will find the best (and cheapest) food on the streets. Just look to where there are big lines and plenty of locals - chances are they are popular for a reason. Temples, monuments and tombs are extremely popular amongst both locals and tourists, so avoid visiting on the weekends as lines can be out the wazoo. If you do need to attend on the weekend, aim for an early start to skip the queues. Keen to give back to the community when visiting small villages? Pack some pens for the children. Not only does it encourage them to keep learning and attending school, but the pens are super cheap and light! Be confident. India is alight with a hustle and bustle that can be very formidable at times. If shopkeepers or other locals are overwhelming you, a polite ‘no thanks’ should do the trick. If you visit grocery stores, the price of the product is usually written on the packaging. Make sure you look for the MRP value to avoid paying a ‘foreigner’ price. 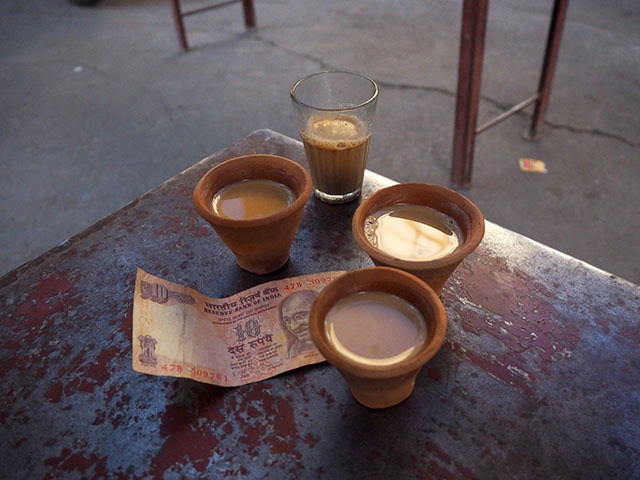 Tipping is respected in India, with 10-15% for meals being the norm. Consider tipping the same if you receive great service at a hotel or service based establishment. Bartering can be fun and is common practice throughout India. Just keep some perspective - sometimes you can find yourself battering over our equivalent of 50c or $1. A relatively small amount for us that could potentially go a lot further for the locals. Buy a sim card from the airport. For around $20 you can get just over 1GB of data per day, which is super useful for Uber, Google Maps or asking Siri where the best naan is. The sims can take a day or so to activate though, so prepare to hunt for naan with your nose on the first day. When getting a price from a tuk-tuk driver, make sure you confirm it is for a direct route. Some sneaky drivers will quote you a lower price under the precedent that they are swinging by a shop or two on the way to your destination in the hopes you will buy something. Turns out they are in cahoots with the shop owner, which will often lead to you spending more money than necessary. Taste: Masala Chai Tea. You can buy it on the streets for about 10 rupees. The perfect blend of spices to ignite your tastebuds. Plus they will make it fresh in front of you. See: The Taj Mahal. 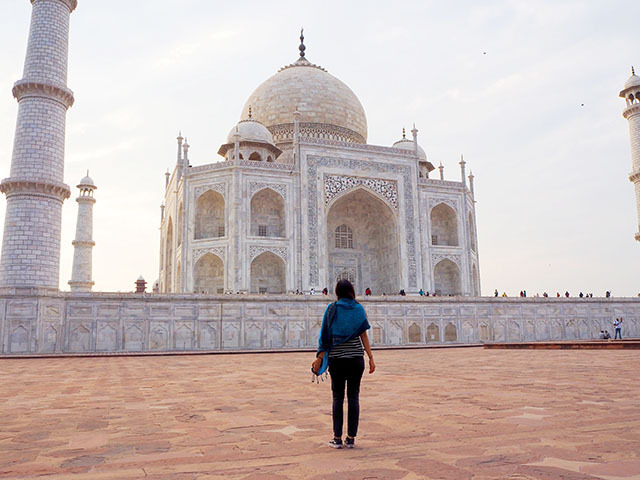 A timeless monument that is a must for any Indian adventure. Explore: Hawa Mahal, Jaipur. This intricate palace is known for its pink paint and honeycomb-like structure. Experience: Holi festival. A colour festival celebrating the beginning of Spring. Inspired to start planning a trip to India, or simply craving a bloody good curry? Be sure to visit the travel money experts before you leave to stock up on Indian Rupees.